SR22 Car Insurance - What is it? SR22 Car Insurance – What is it? If your drivers license was revoked because you got a DUI or had a car accident while uninsured, Washington state will require an SR22 filing in order to reinstate your driving privileges. But an SR22 is not actually car insurance. It is just a certificate that the insurance company files with the state’s Department of Motor Vehicles (DMV) verifying that the driver is currently carrying liability insurance. An SR22 can be added to most policies, although companies that choose to market to the ‘preferred’ driver market may not be set up to handle this quickly or may choose to cancel your auto insurance once they find out you need an SR22. Getting an SR22 is not expensive. Your driving record, age, etc may cause your car insurance rates to be more expensive, but the SR22 should only add a small fee. Luckily, you won’t need the SR22 forever. As your driving record clears up (tickets & accidents stay on your record for 3 years), your auto insurance rates should go back down. Nobody wants to have to carry SR22 insurance, but if you find yourself needing an SR22, we can help you and make the best of a bad situation. Because we have numerous car insurance companies to choose from, we can quote them all and get you the best rate possible for your auto insurance. We can also get the SR22 filed with the state as quickly as possible, usually in less than 24 hours. 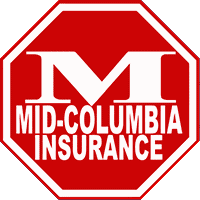 So,If your insurance company cannot file your SR22 immediately or you do not currently have insurance, the insurance professionals at Mid-Columbia Insurance can take care of your car insurance needs and include an SR22 filing if necessary. To get a quick auto insurance quote you can come in to or call our Kennewick, Pasco, or Yakima offices or get a quote online or call us today!